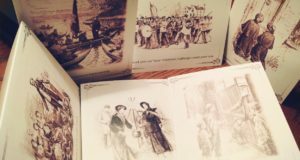 Looking for a Salvation Army themed greeting card to write a note of encouragement, send a birthday wish or say thank you? Click here to download Salvation Factory designed cards in three collections: Character Collection, Vintage Collection, and Canadian Poster Collection. 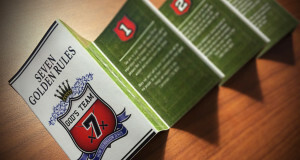 Use the PDF provided to print both the front and the back of the card. The Whole World Mobilizing campaign began in one sense when General André Cox called on the international Salvation Army to get of their corps buildings and into their communities. In another sense, however, the campaign began long ago when Jesus commissioned his disciples and every Christ follower since, to go into all the world and preach the Good News (Mark 16:15). 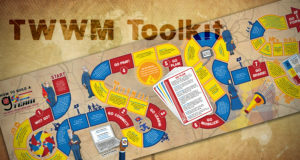 Looking for a way to share the Gospel in your community? Download and print these simple wrappers that share the message of Salvation. 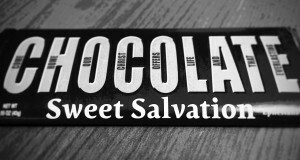 Wrap an ordinary chocolate bar and distribute in your community, sharing the story of "Sweet Salvation". Inspired by a September 1913 Officer idea, here is a simple pocket sized tract to be used in discipleship.